To subscribe to our email list for news from EBC simply add your name/email below. A confirmation email will be sent to you! 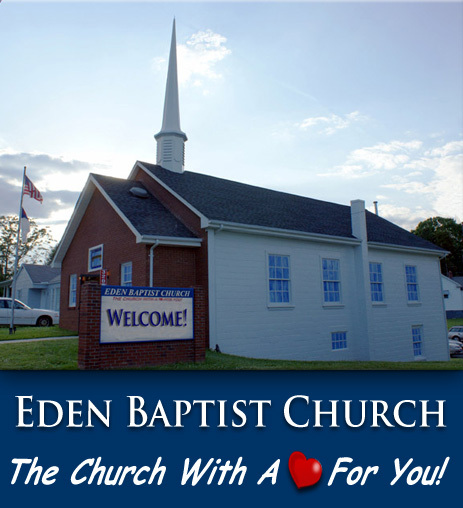 Eden Baptist Church seeks to provide everyone, regardless of their situation or status in life, a place to find fulfillment of the needs of their heart and life. We believe the present and future are more important than the past.Those who attend EBC experience the love of Christ and enjoy warm fellowship with fellow believers. We exalt Jesus Christ as our Savior and Lord. We edify one another as forgiven sinners, honor one another as the children of God and serve one another as fellow travelers on life’s pathway to Heaven. We seek to evangelize the lost by pointing them to Jesus Christ. 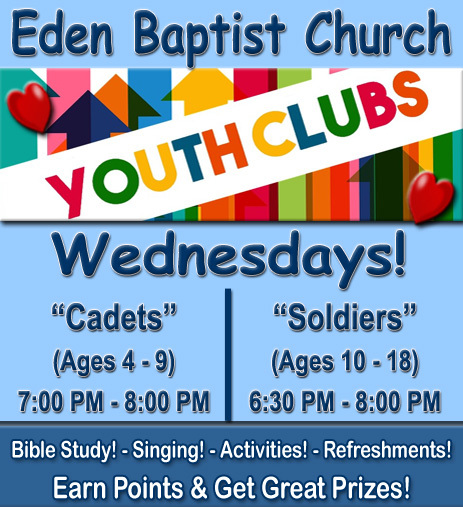 7:00 PM Revival Services! – W/Carl Shelton! 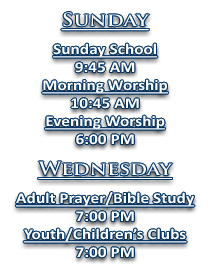 Revival Services! – W/Carl Shelton!